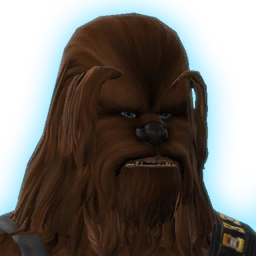 You met with the Wookiee Bowdaar on Zakuul and heard his plan to help free a number of gladiatorial slaves from the Arena Grand. Having made a name for yourself in the Arena Grand, Bowdaar was able to bargain for the freedom of the gladiatorial slaves on the condition he and you team up for one final arena melee. Bowdaar and yourself have proven victorious in the arena and have won the freedom of the gladiatorial slaves! Bowdaar joined your alliance as a follower.